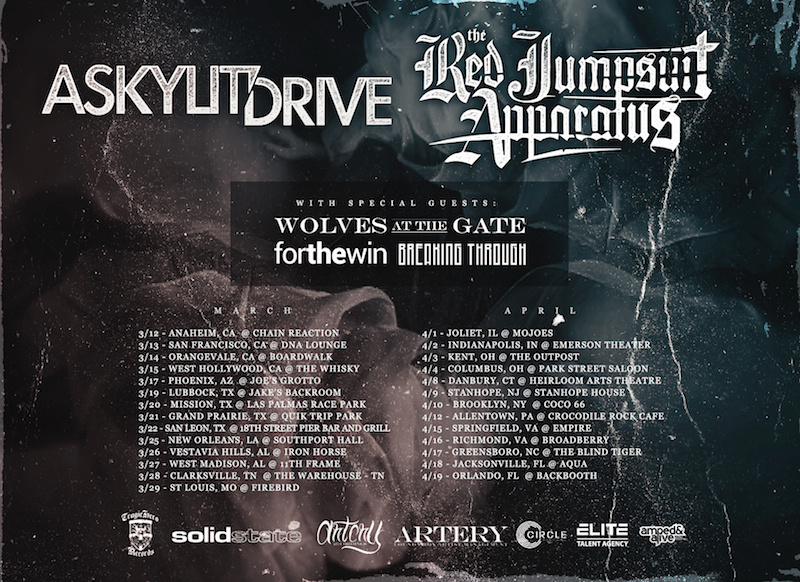 A Skylit Drive and The Red Jumpsuit Apparatus are going on a United States tour together this spring from March 12 until April 19. The two bands will be accompanied by Wolves At The Gate, ForTheWin, and Breaking Through. Traveling nationwide, the tour will hit areas like Hollywood, New Orleans, Brooklyn, and Orlando. In the coming weeks of announcements for A Skylit Drive, fans will also soon hear information on the band’s new lineup, as well as new music from their highly anticipated 2015 album. You can view the dates for the spring tour below.